I get Easter. I can understand the celebration. I recognize the magnitude of what an empty tomb meant 2,000 years ago, and what it means now. But the days leading up to Easter? For me, these take more mental finesse, more grappling, more exploring. A few years ago I wrote about Silent Saturday, the day that represents the pause between Christ’s death and His resurrection. The thought of what that day was like — for Jesus’ disciples, followers, believers, those who hated Him — it still sits like a weight on my heart. Had I been there, I would have been all wringing hands and pacing and tears and grief. It’s different now though. Now Saturday has become, simply, the day before Easter. We know what’s coming. But what about Good Friday? How do I reconcile a day that represents the darkness of Christ’s death with a day that represents His triumphant resurrection? It isn’t easy, but the truth is there. Without Friday there wouldn’t be Sunday. For nearly six months I’ve been working on a Good Friday project that required me to truly consider the importance of the day. I asked questions like, “Why do we call it good?” and “Am I the only Christ-follower so focused on pastel-wrapped Easter celebrations that I see Jesus’ sacrifice as a mere stepping stone to a much happier day?” During the last several months — before-sunrise mornings and quick moments between life’s tasks and in the rice paper-thin pages of my Bible — I’ve sought after the answers to those questions. Good Friday isn’t good because of the pain and anguish. 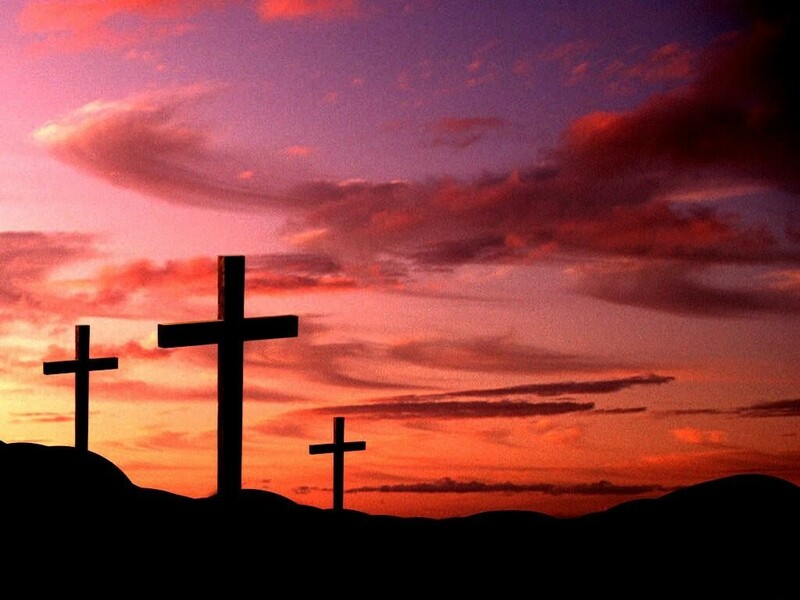 Good Friday is good because of the sacrifice and the grace and the love. It’s good because, without it, we wouldn’t be celebrating on Sunday. Without the dying, there would be no rising. I can’t walk through Friday so focused on Sunday that I forget about the cross. I get it. Easter Sunday is laughter, rejoicing, and warm breezes. It’s bright blue skies, celebrating, and light. So much Light. Juxtaposed sits Good Friday, representing darkness, anguish, and death. But here’s the thing…that’s what makes Easter Sunday so blindingly beautiful. If you celebrate the Risen King, don’t forget to celebrate the Sacrificial King also. This morning in church the worship leader mentioned that some people may find the holiday season difficult because of trials or hardships or strained family relationships. I thought about those strained family relationships, looked down at the date on my watch, and realized that today would have been my mom’s 73rd birthday. After remembering that today was her birthday, I thought of my favorite picture of her. I misplaced it for a decade and then a couple of years ago I stumbled upon it in a box in the garage, the summer heat having left its mark. I’ve spent a lot of time tipping and turning the picture, wondering whether a different angle will give me a better glimpse of who she was. I don’t know who took it, I don’t know where she was. I can assume from her hair that it was the 70s, before I was born. She looks happy, but then again, it’s hard to tell. Of all the pictures I have of her, this is the one I most relate to. It’s not our features, although every year that passes I see her more and more when I look in the mirror. It’s the way you can see her, but not really. Hand up, guard up, same thing. I get her. I’ve shared before that I prayed for her for 20 years. I asked God to surround her with faith-filled people who would care for her. He did. He wrapped His arms around her in the form of a husband, friends, a church, community, mentors, faith, all of it. A few months ago one of her friends sent me a box of some things that belonged to my mom. On a ridiculously hot summer day, I snuck to a quiet corner of the house and opened the box like it was a treasure chest. There were several items, including a nativity scene that is displayed in my home, Christmas tree lights casting shadows of the figures against the living room walls. There was also a small card, printed by her church. On the top it says “High Five” and under that, in tiny print, it encourages the card’s owner to pray for the people on the list. She wrote down five names. My name is third. The card is dated Nov. 4, 2012. How beautiful and how stupid is it that a mother and daughter were praying for each other, asking for things that had already been accomplished, but neither knew it because neither one dropped their guard long enough to pick up the phone? Not only have I shared about praying for my mom, but I’ve also shared about how I ended up with her Bible. I’ve looked through the heavy book many, many times. In the beginning, I searched it looking for my name written in the margin or some note that would give me more insight. That’s why finding that small prayer card in the box last summer was such a gift. Then, on Thanksgiving, I was flipping through the well-worn pages and stopped on page 1,097. Something caught my eye. In purple pen she had underlined Isaiah 54:13b: …and great will be your children’s peace. This journey has amazed me; just when I think its slowing to a stop, that I’ve discovered all there is to discover, something propels me further down the road of understanding. After she died I decided to attend a Bible study that was filled mostly with women my mom’s age, and I wanted to be surrounded by ladies who had lived the same years she had. Before we met each week in our study groups, the entire group of nearly 200 ladies would gather for food and to chat. Walking through the room every week I’d hear snippets of conversations; ladies throughout the room who were sharing their strained relationships with their adult children. Several said things like, “I’ve tried everything. I can’t do it anymore.” I wore those comments like a weight I couldn’t shrug off. On the last day of the session I was asked to share a poem but when I stood on the stage, looking out at a sea of women, most of whom had been born the same time my mom had, I felt compelled to share my story. Through tears, I told them that I was that adult child many of them had given up on. I was the one whose mother had walked away. I was the one who had to learn about her mom’s life after she was dead. And I told them that they should never, ever, ever stop reaching out. No matter what. When I was done with my poem I walked back to my seat and a woman approached me. She told me that she has a wonderful relationship with her adult daughter but she lives far away and she often wished she had someone her daughter’s age to spend time with. I’ll never forget her words, “I can’t be your mom, but I can be like a mom to you.” I was floored, but it was what she said next that I’ll never forget. “My name is Vickie,” she responded, grabbing my hand with both of hers. Few times in my life have I been without words; this was one of those times. Vickie was my mother’s name. I share all of this in case anyone needs to be told or reminded or encouraged — call your mom, call your dad, your son, your daughter. My experience has been a powerful force in my life and I believe I’ll see my mom again eventually, but I really wish we’d reconciled in life. Just one phone call or hug or conversation free from resentment and anger. Just one Christmas. Just one birthday. This morning I climbed a mountain. No, a hill. It was more like a hill. We have trails in our community that range from easy to “Are you insane?” and I opt for something closer to the former, so I don’t die. I made my way up a moderate trail that zig-zags its way through the foothills like a wound. It was difficult. Everything is already so brown because, desert, and I have sensitive knees (because I’m not old enough for bad knees) and I almost ate it a few times when I tripped over rocks. You’d think, if I were going to cry like a baby, I would have done it on the way up, but I didn’t. I cried all the way down. I was hungry because I forgot to carb load (if carb loading means I should have gotten a chocolate chip bagel from Panera) and it was 94 degrees and if I’m being totally honest, I cried because I’m super stressed and wildly worried. Because I. Hate. Change. And there’s so much change right now; it makes my breath catch when I think about it. When I was a kid I spent a few weeks every summer in Tahoe at camp. Each year I’d count down the days until it was time to escape to camp where I’d see my faraway-friends I only got to hang out with when I was there. By the time we were 15 and 16 we started attending as junior counselors. My last year there ended abruptly. We all got kicked out. On a Saturday afternoon, we went into town to do laundry and decided to get our ears pierced. The camp director called us things like “irresponsible” and “liabilities.” I still think it’s so stupid. It’s not like we went to London on a school trip in ninth grade and got a tattoo that looks NOTHING LIKE TINKERBELLE. Anyway, we waited for our parents and one by one we said our goodbyes. I only keep in touch with one of those camp friends; he grew up and got married and had kids and went to war for our country, but that day we stood side by side, so sad about the whiplash-like halt to our annual summer plans. That now-Army guy ripped his half-carat fake diamond earring out of his ear and threw it into the trees. I got so mad, I yelled at him about how it represented the end of LIFE(!) and how could he just throw it away?! After all those years, all the traditions, the lame skits and campfires, and trips to Pope Beach and the freezing lake, everything changed. I dread the end of the school year. Granted, I get over it during the languid, ice-cream melting, salty days of summer, but around oh, right now, I start getting sad. I was the weird kid who cried on the last day of school every year. That’s mostly because school was safe and home wasn’t, but also because I knew I’d miss the daily routine and my teachers’ support and my friends. I liken my kids’ school to a daily reunion and now a lot of the family members are moving on to middle school, or new opportunities are taking some of them to different places. My kids have been at the school for a decade and, while there have been some changes along the way, it’s remained relatively the same. So as I trekked down that trail this morning I thought about the end of the school year, the end of the familiar, the end of tolerable weather, the giant question mark looming over my professional life, how much my people — my family, my friends, my mentors — mean to me, and all I could do was cry. In the end, all of these changes are good. It means kids are growing up and friends are happy and, ultimately, all of the end-of-the-school-year changes will segue into those aforementioned dreamy days of summer and those days are steeped in memories and laughter. Enough to carry me into whatever new things are coming. The most unexpected thing happened this morning. Before I reveal it, let me explain why this thing was so impactful. When I was a senior in high school, trying to figure out what to study in college, I felt strongly that I was supposed to become a teacher. I went to college and earned a B.A. in Liberal Studies, a degree that works for pretty much one thing — teaching. I was accepted into a local graduate program but I declined because we wanted to have a family first. Nearly 14 years went by and I decided to go back to school to get my teaching credential. My first term started on May 1, 2016. On April 29, almost exactly two years later, I will be done. I have my credential now but decided to get my master’s. Which brings me to today…well, the last few months really. I have been burned out, done, over school, for a while now. I’ve likened my journey to dragging myself uphill through the mud. Of course, now that I’m nearly finished, the local district is in the midst of a hiring freeze. If I’m being honest, I live in a perpetual state of mental and emotional tension. On one hand, I think going back to school was exactly what I was supposed to do and on the other hand, I question why, if I made the right choice, are there no openings. So here I am, six weeks from finishing grad school and doing everything other than my assignments, including my thesis, because I’m basically throwing a temper tantrum over the whole thing. I was so grumpy about it last night that I asked some friends to pray for me. For my curriculum design class, I have to read a book and then create a presentation to “sell” the book to potential readers (my peers). I chose The Big Picture, written by Dennis Littky, co-founder and former principal of The Met (Metropolitan Regional Career and Technical Center) in Rhode Island. My class, and Littky’s educational philosophy, encourage creative learning that taps into the things students are passionate about. Last week I decided to present The Big Picture to my peers in the form of a newspaper article since I never have the opportunity to write that way anymore. I tracked Littky down through his new organization and in an absolute shot in the dark, I sent an email asking for an interview. And he called me this morning. And the littles were able to listen in on the entire conversation. It occurred to me later, after the kids had been dropped off at school and I was settling in to complete some assignments, that last night my friends prayed I’d be determined and encouraged as I finish this race, then God sent me some encouragement by way of a nonconformist with an East Coast lilt and a radical philosophy of education. Littky is considered a rebel, an educator who dumped traditional instruction for the sake of his students but probably unknown outside the education community. To me, he is a hero to his students and an educator whose legacy will live on for generations. I received an email today that made me smile, and it broke my heart. I am someone who communicates my feelings by putting pen to paper (or cursor to screen?). It’s how I process all the feelings. There is something defiantly beautiful about shining light on the things that wrap us in darkness. So a few years ago when I learned that my dear friend, someone I refer to as my sister, received hard, sad, and dark news, I wanted to use all the words. I mean all the words. But I couldn’t. It wasn’t my place. She wanted to share her news, in her way, when she decided she was ready. Then today happened. Today she was ready. My friend — my sister — Sarah, has ALS. She was diagnosed five years ago. She’s ready to fight, and she’s doing that by raising money for the Golden West Chapter of the ALS Association. On Oct. 22 she’ll be participating in the Inland Empire Walk, and I’m looking forward to being there, cheering her on. The event is a fundraiser, with money going to ALS research. If you know me, you know that Sarah, her dad, mom, and brother, took me in 20 years ago and became my de facto family. I love her so much, and I hate that ALS is now part of her story. I’m also proud of her. Sarah is so brave. She’s fighting to leave a legacy. Please consider donating to her fundraising efforts. For more information, check out her team page. One of the best gigs I had as a freelance journalist was a weekly parenting column in the local paper. Mostly anecdotal, I shared funny stories, parenting hacks, and humbling experiences. Occasionally, however, I would touch on something serious. A column I wrote in August 2014 was just that. Serious and hard and sad. As the Ferguson riots played out across our television screen, my oldest asked me some tough questions about race relations in this country. I was raised by a single mother who came of age in the 1960s. She was a self-proclaimed hippie, and she marched for civil rights. She taught me that everyone should be viewed as equal, and my husband and I are raising our children to know the same thing. So, when my son asked me those hard questions, I wondered whether we’d stepped back in time. I answered everything. I told him that racism is a major problem, maybe not in our community — which is a beautifully-woven, multi-cultural tapestry — but in other states and regions, racism was showing its teeth. Then I wrote about our conversation in my column. When it went to print it also appeared on the newspaper’s website. I shared a link to the piece on social media (it’s been archived, otherwise I would share the link here). Later that day a contributor to a national television network that often features pundits and talking heads responded to my post by telling me I was adding to the unrest. I literally rubbed my eyes and reread the comment, sure that it would read differently. It didn’t. I debated whether to respond. I had all manner of words ready to volley back at this person. It took everything I had not to explain how wrong they were, but in the end I decided it wasn’t worth it. This person thought that I was contributing to the tension because I pointed out the obvious — racism hasn’t been eradicated and in some cases, it defines entire communities. But if every family in this country decided to raise their children to love everyone, racism would cease to exist. In the end, I didn’t regret telling my son the truth. It’s one of the hardest parts of parenting. John and I want to raise kids who become world-changers and we can’t do that by covering up facts. Our children need to know that someone can’t be a Christ-follower and a racist at the same time. Hatred and bigotry go against everything Jesus represents. Our kids are watching and listening and taking their cues from us. Um, I looked at the calendar and realized that there are less than three weeks left in summer break. What is this crazy vortex I live in that makes time move at hyper speed? Now I’m on a mission to squeeze every last moment out of the dwindling break. I have a love-hate relationship with summer. Desert summers are so hot it’s stupid and that means I can’t really get outside, which is something I enjoy. I do love that all six of us are on a break together and we don’t have to worry about rushed mornings, homework, rehearsals, tournaments, recitals, etc., etc. We’ve done some really fun things since the school year ended. We’ve escaped to the beach, played at the lake, gone roller skating, watched a movie at a drive-in, had countless game nights, spent time at the library (free air conditioning! ), stayed up late, and slept in. As far as making memories, I think we’ve done a solid job of that this year. But this summer has had some sharp edges also. Last month John was in a serious auto accident. The damage from being hit landed his car in a wrecking yard two months after we got it. He said he looked at the grill of the other car, time slowed, and he thought, “This isn’t how I thought I was going to go.” The car took the impact, but in the aftermath we all felt emotionally crushed. Right. Talk about emotional whiplash. For a long time I thought summer had some whimsical superiority over other seasons, and was disappointed when it didn’t meet my expectations. I’d spend half the school year dreading it, and the other half dreaming about its lazy days. The fall is my absolute favorite season and it’s not unusual for me to begin counting down the days until summer gives way to pumpkin everything. A few weeks ago I stole an idea from Instagram and made a bracelet that reads, “SUMMER.” I’m wearing it because the calendar already moves so fast; wishing away the heat or complaints of boredom or focusing so much on what’s next is a sure way to miss what’s happening right now. This simple bracelet acts as a reminder that we’ve had some great summertime experiences, and even in the ugly stuff, God has always carried us through.